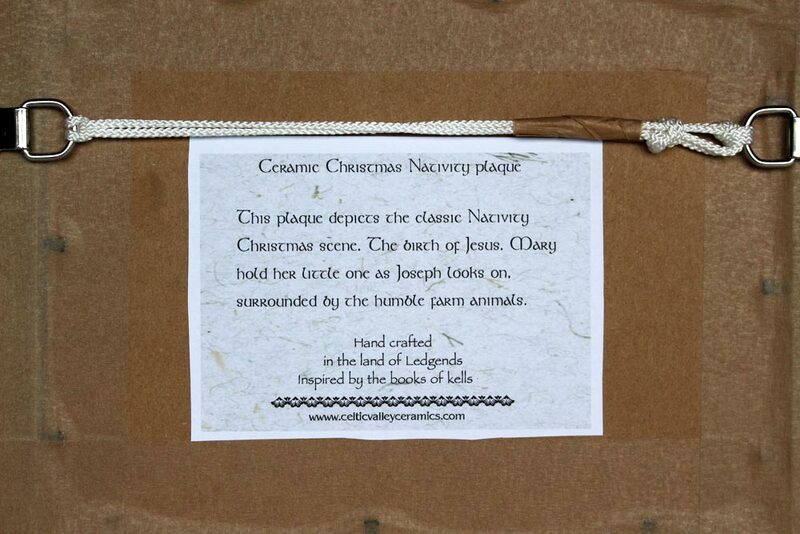 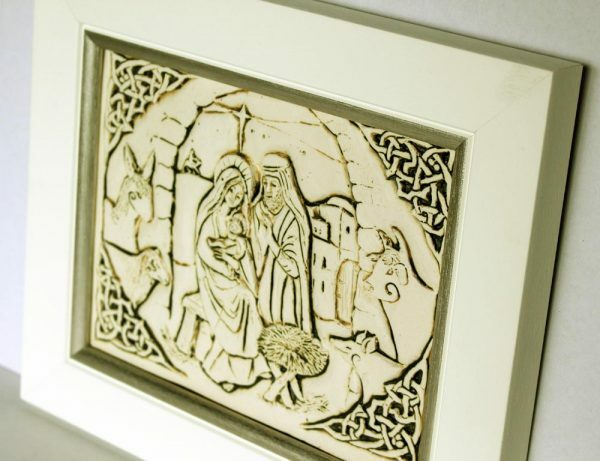 Beautiful Nativity plaque, ceramics handmade in Ireland. This is a classic Christmas Nativity scene depicting the Holy Family after the birth of Christ. 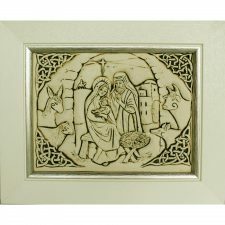 Mary is holding the Baby Jesus as Joseph looks on, along with a donkey, sheep, cow and pig in the stable. 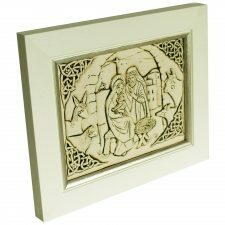 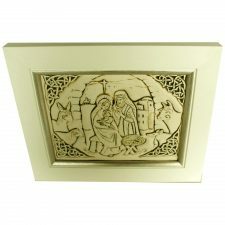 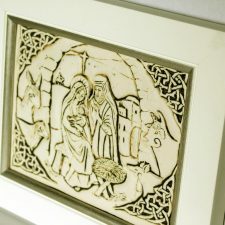 This Nativity scene has a lovely Celtic design surround and is in a quality cream wooden frame with a silver inner edge. 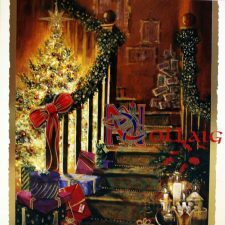 This is an Irish Nativity gift to be treasured each Christmas, a very special addition to Christmas decorations. 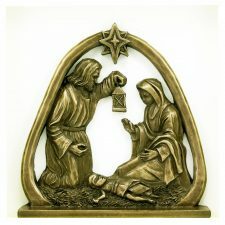 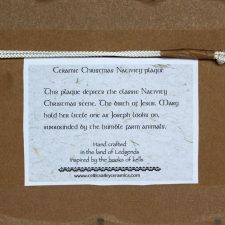 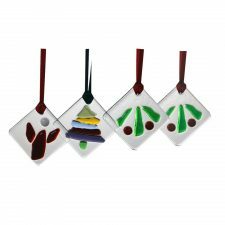 Quality Nativity Scene ceramic wall plaque. Ready for hanging. This Nativity Scene is hand pressed in white earthenware clay and fired to over 1100°C. 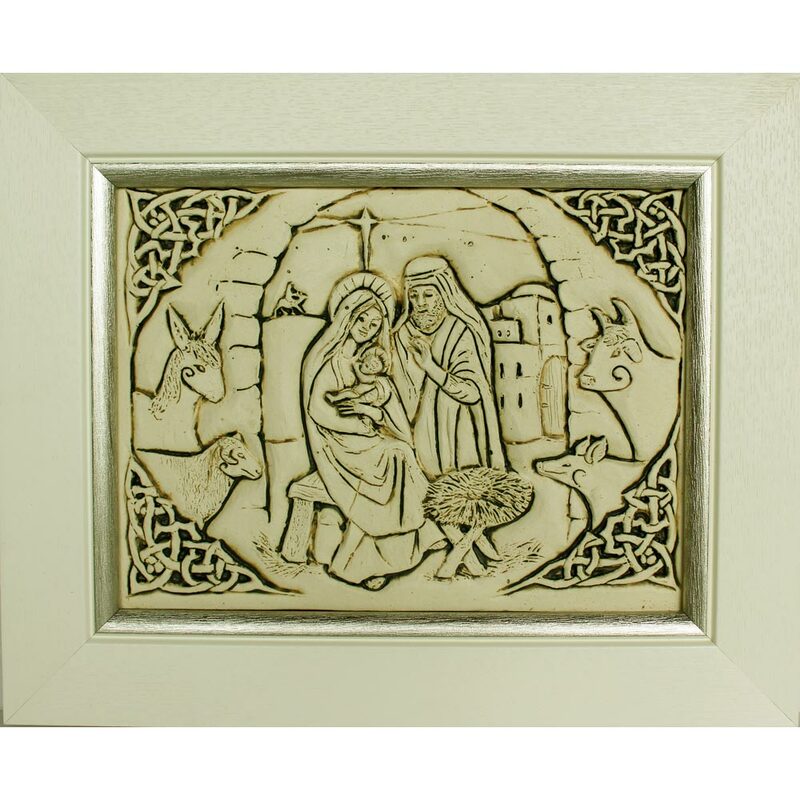 Colour: Stone effect plaque in a cream frame with a silver inner edge.